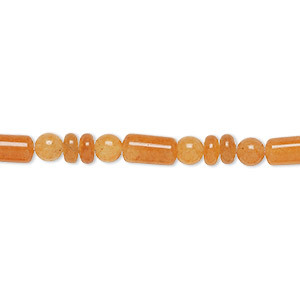 Bead, red aventurine (natural), 4mm round, B grade, Mohs hardness 7. Sold per 15-1/2" to 16" strand. Item Number: H20-3538GS Have a question about this item? Design with the orange-red colors of red aventurine. 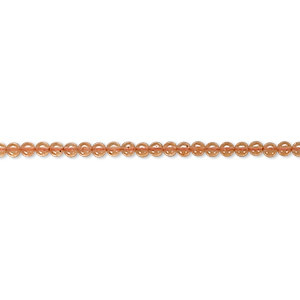 Ranging from pale peach to deep brick red, the beads have a slight glistening effect formed from tiny mica inclusions. 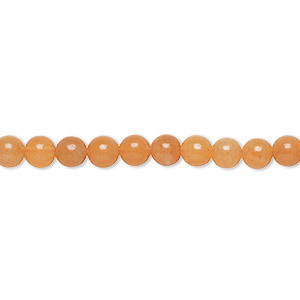 Bead, red aventurine (natural), 6mm round, B grade, Mohs hardness 7. Sold per 15-1/2" to 16" strand. 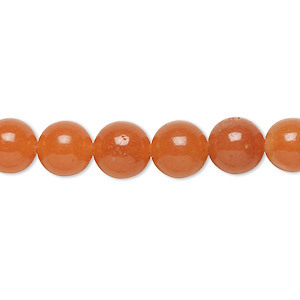 Bead, red aventurine (natural), 4mm round, C grade, Mohs hardness 7. Sold per pkg of (10) 15-1/2" to 16" strands. 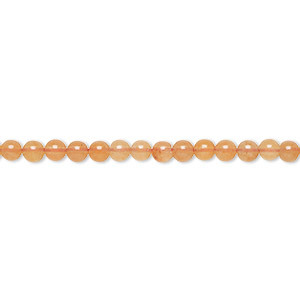 Bead, red aventurine (natural), 8mm round, B grade, Mohs hardness 7. Sold per 15-1/2" to 16" strand. 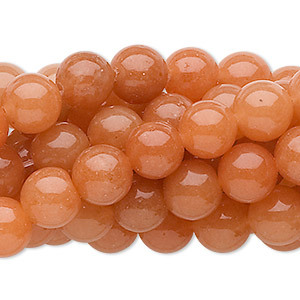 Bead, red aventurine (natural), 5mm round, B grade, Mohs hardness 7. Sold per 15-1/2" to 16" strand. 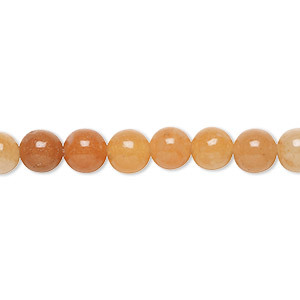 Bead, red aventurine (natural), 2mm round, B grade, Mohs hardness 7. Sold per 15-1/2" to 16" strand. 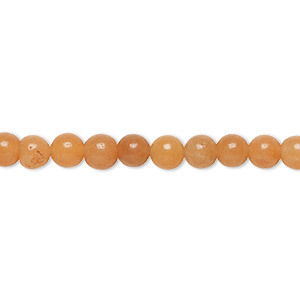 Bead, red aventurine (natural), 10mm round, B grade, Mohs hardness 7. Sold per 15-1/2" to 16" strand. Bead, red aventurine (natural), Southwest style with 4mm round / 4x2mm rondelle / 8x4mm capsule, B grade, Mohs hardness 7. Sold per 4-inch strand, approximately 20 beads. 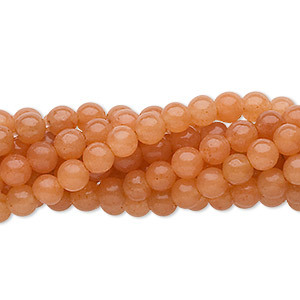 Bead, red aventurine (natural), 3mm round, B grade, Mohs hardness 7. Sold per 15-1/2" to 16" strand. 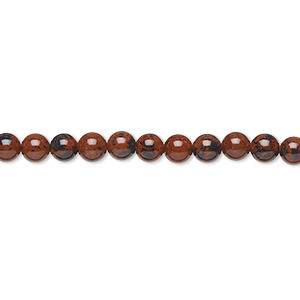 Bead, mahogany obsidian (natural), 4mm round, B grade, Mohs hardness 5 to 5-1/2. Sold per 15-1/2" to 16" strand. 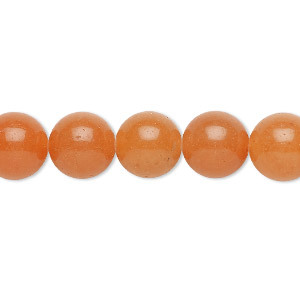 Bead, red aventurine (natural), 8mm round, C grade, Mohs hardness 7. Sold per pkg of (10) 15-1/2" to 16" strands.